Tackling food waste is one of the best things you can do to conserve resources and combat climate change. Are you working to address food waste in your school? 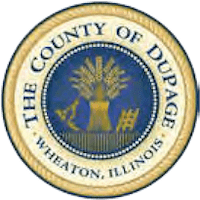 Here are a few resources to help you along the way. SCARCE Lunchroom Waste Audit: Turn your lunchroom into a classroom! SCARCE staff will come out to your school to guide your students in conducting a lunchroom waste audit to see, firsthand, how much food is wasted. 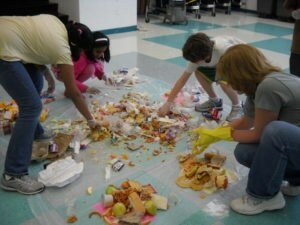 Students will sort, measure, and brainstorm ideas to reduce the amount of trash generated in the lunchroom. WWF Food Waste Warrior Toolkit: The impacts of food waste go beyond human society to affect all the creatures on our planet. Check out the World Wildlife Foundation’s free Food Waste Warrier Toolkit. It is designed for grades 5-12 and includes lesson plans for a variety of subject areas, a food waste quiz, videos, and a food waste calculator. Learn more about donating excess food with a Food Sharing Table.